Welcome to Yoshida Dental Clinic Web site. 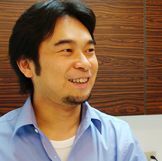 I’m the director of this clinic, Kohichiro Yoshida. We offer “Excellent care for each patient”. You can get a full range of dental services you need in the clinic with scents of aroma. Don’t hesitate to visit the clinic for your dental problems. We’ll give each patient a private room to give treatments for any sort of dental problems-including braces, whitening, etc.